My neighbor called me at 11:30 last night. He had a heated argument with our shared neighbor, someone we feel is on the verge of madness, if he’s not already there, or violence based on the tone, language and volume of the arguments. This is the same neighbor who said something to my wife last year, which led to my showdown with him and my request for him never to speak to my wife again. He hasn’t spoken to either of us since, and that’s a good thing. It’s hard being locked up at moments like this, my wife and daughter alone. An alarm system, security cameras, and two dogs don’t seem like enough against a neighbor showing signs one might associate with insanity. And knowing he has a gun adds to the great unknown and my fear. And once again I want to move. There is something very scary about this guy. Talking to him is the same as shooting yourself in the foot. Pointless and painful. I may be released Monday or Tuesday. It’s not soon enough for me. I can breathe out of the right side of my nose now. The blood is minimal. My lungs feel good. And even my stomach, which has caused me four moths of problems, may be responding to a new medicine, Prozac. Yes, they put me on it because of my stomach. I’m hoping I get the side benefit of the anti-anxiety part because I have to confess I’m really tired of anxiety. It has little value in my life. 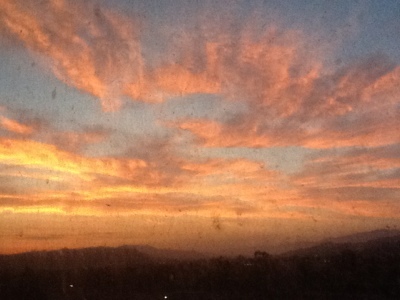 If there is a bright spot to this visit, it’s the view from my room, despite the filthy window. I mentioned the fireworks last week. However, I also have great view of the mountains. And I can see and hear the trains that go by, which is a treat here in LA. I love trains though I would never ride on one because I have a fear of derailment. Part of that is because of the bad drivers here in LA who are always trying to cross the track at the last minute. Some mistime it. Some commit suicide. Everyone pays. So, here I sit fearing a derailment, not of trains but of my neighbor. And I can’t wait to escape to the rented beach house in two weeks and a month away from our neighborhood. The question is, will a month be enough time away? 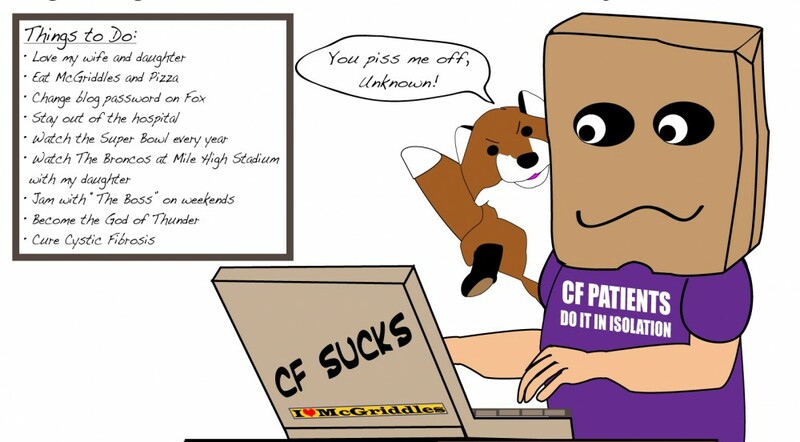 This entry was posted in Adventures in Los Angeles, cystic fibrosis, Fear by unknowncystic. Bookmark the permalink. I feel so bad, I know I have read all your posts since my last comment, they come through my RSS feed.. and yet I thought I had visited and commented on at least a few of them, but as I finally sit down at your site, I cant see any comments from me – what a fair weathered friend you must find me! I really am perplexed, perhaps I just dreamed my responses to you? Regardless, I know you have been in hospital, had (more) dramas with your terrible neighbor and on the good side, had what sounds like a wonderful few weeks at the beach! I hope that your health is good (thank you summer) and your disposition even better my friend. Ill try to stay around a little more and certainly drop in with more comments, and not let the busyness of life overtake!